San Isidro is an indigenous community in Ecuador’s central Andes that collectively built and manages an irrigation pipeline. The pipeline has brought life back to family farming and created more space for the community to protect the páramo, a source of water and life for farming communities and urban residents alike. This story proves the strength of longstanding models of community organisation allied with the national indigenous movement. Before I ever made the half-day hike from San Isidro up to the páramo, I heard about it almost every day. People told me about its beauty, lakes, and the hot springs. Deep valleys, rivers and 4500 m peaks. Its stories, the cold climes and dramatic views, the struggles to own it and to protect it. In Ecuador’s central Andes, the indigenous community of San Isidro collectively owns 1060 ha of this high-altitude moorland, typified by rugged peaks and straw-like grasses (paja). The area is known by its Kichwa name, Chaupi Urco Chilca Tingo. It is a place where collective action has intensified in scope and scale since the completion in 2010 of the community’s irrigation pipeline, which sources water there from two small rivers. With a population of around 500 people, the majority of households in San Isidro rely on small scale agriculture (growing many varieties of maize, beans, root and leafy vegetables) in combination with wage labour. San Isidro is distinct in the local area for the number of residents who travel regularly to and from the Amazon region for shift work in the oil industry. This work has become increasingly precarious, and has further driven interest in communal projects that seek to meet community needs. 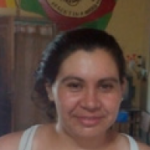 Collective organising in San Isidro, as in many other indigenous communities across the Ecuadorian highlands, is structured with a directiva or community council elected every two years by all residents. Led by a president and vice-president, ultimate authority rests with the ‘assembly’ of community members whose agreement is required to support any major decision. Since the 1960s, this structured approach to collective decision-making has enabled San Isidro to engage in alliances with nearby communities, and to operate within a recognised branch of the national indigenous movement. 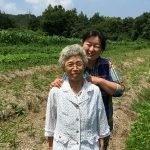 In the last decade alone, these networks have successfully fought campaigns against local plantations for more equitable access to water, countering land grabs that have sought to buy collectively held land without full communal agreement, and pressing for tighter control of the use of agrochemicals within industrial agriculture. Though active for many decades, after national indigenous uprisings in the 1990s and a strengthening indigenous movement since, collective action in San Isidro has gathered pace and achievements in recent years – registering as a community in 2009, and capitalising on constitutional rights attached to Buen Vivir (Harmonious Living) introduced in 2008. In partnership with the nearby community of Yacubamba, who share the water from the pipeline, the 2009 directiva of San Isidro successfully applied for funding from the National Institute for Irrigation (INAR). The application was successful because it detailed clear plans for how future maintenance work would be undertaken and shared between the communities. Don Jorge Llumiquinga, from San Isidro, brought his previous experience from other pipelines in the region to the application. Moreover, they applied at a time when government social spending had increased. The INAR grant covered building material costs for the irrigation pipeline. It also covered initial construction labour costs; although a small team of paid workers was supported by scores of volunteers for the six month project. And, under the collaborative agreements in place, ongoing maintenance work is shared equally among the 80-90 participating households. The páramo ecosystem spread across the northern Andes is of great importance locally and globally – a vital source of water and part of functioning hydrological cycles, and also a carbon sink critical in regulating broader climate patterns. In Ecuador, the páramo hills are known to form part of a ‘waterstoring ecosystem,’ an indirect source of water for the majority of urban and rural populations across the country, especially in the sierra regions. They are said to function almost like a giant ‘sponge’ absorbing rainfall, storing it, and releasing water gradually. Páramo lands can produce one litre of water per day per square metre and, in Ecuador, 85% of water sources used for drinking water, for hydroelectric power systems, and for agricultural irrigation originate in the páramo. Increasing competitive interest in these resources has seen timber companies trying to purchase communal páramo lands to establish plantations of trees that consume a lot of water, such as pine or eucalyptus. This shared infrastructure project has become a central focus of communal life, and has transformed possibilities for family farming in the semi-arid soils of San Isidro. Irrigation has made agriculture much more reliable and viable. Before the pipeline was built, access to water for farming was limited by historical water rights and agreements that favoured large landholdings. San Isidro has suffered from increasingly erratic patterns of seasonal rainfall and even in ‘wet’ growing seasons crops were struggling. The pipeline provides a constant flow of 25 litres per second, which is distributed among member households. This has counteracted a steady ‘desertification’ of fields, and enables farmers to increase production. For example, Raúl Allauca now grows irrigated crops on his family’s steep plot. After the pipeline was completed his family built an extensive system of terraces. They have reduced their dependence on food purchased outside and increased their income from farming. As well as cultivating fodder for an increased number of small meat animals in most households, irrigation has also supported a community food cooperative, and enabled more farmers to regularly sell produce at their nearest weekly regional market in Pujili. The cooperative ‘Food Circle’ involves weekly meetings where farmers, usually women, trade their ‘surplus’ produce amongst each other. Though fewer than half the community’s households have been active in the ‘circle’ and the quantities traded are insufficient to supply a livable income, there are other benefits. 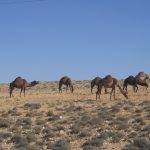 It has encouraged the production of previously neglected crops (e.g. Andean tubers such as ocas and mashua), and thus, care for and use of the páramo have helped reinforce locally appropriate farming practices and food landscapes. 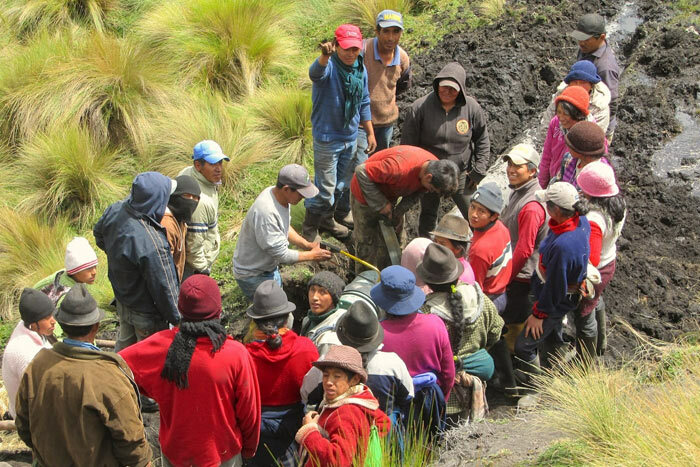 Páramo conservation is now another focus of collective action in San Isidro, alongside ongoing campaigns for land rights, water justice and environmental protection. 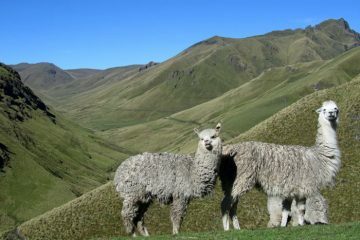 In 2009, community organiser, Porfirio Allauca, worked with the directiva and a development NGO on a project to bring alpacas back to the páramo. He described this land as a source of life – not just for San Isidro, but for society as a whole, since the páramo is ‘where water is born’. This project coincided with growing interest in páramo conservation within the development sector and with other NGO-funded projects in and around San Isidro. Ecuador, however, has seen the closure of a number of regional NGO offices, particularly in the highlands. This goes to show that long-term and self-sustaining systems of production and cooperation like those found in San Isidro are more important than ever. The páramo is also a site of significant historical importance. During land reform in the 1960s and 1970s, designed to support indigenous and rural communities through land redistribution, large estate owners were able to ‘redistribute’ land that they used and valued least. This included the páramo. As Porfirio put it: “at that time they handed over those lands like they were redundant or worthless.” He described it as a kind of ‘justice’ that today the páramo is recognised as a ‘source of life’, bringing new resolve and vitality to the community. Tristan Partridge is a researcher at the University of California, Santa Barbara with a focus on environmental justice, extraction and the food-energy-water nexus. He has worked with rural activist groups in India, South America and Scotland.